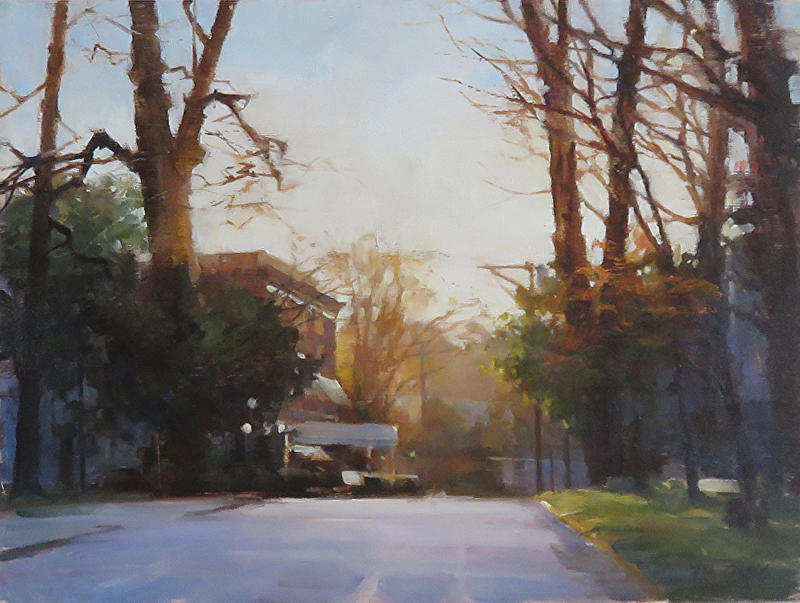 I am a representational painter who works both in the studio and in the field. Most often I am attracted first by the light and shadows which I want to capture in a simple and painterly manner, and then by textures and detail; my struggle is to find a balance between the two. It is something I am always working towards, always seeking to ‘loosen up’ while still capturing some of the detail that interests me. Although each painting, each subject, asks for its own approach and treatment. I was eighteen when I did my first painting, a watercolour, and I was hooked. Watercolour captivated me for the next 25 years. I lived in England for part of that time and was fascinated with European street scenes, attracted by the textures and subtle colours of old stone and brick and the narrow streets offering interesting perspectives.